True the Roman Empire was effectively destroyed by immigration. Since when has this been true? Terribly out of date idea, what has he been reading? Of course, the answer to Dame Averil’s question is that he studied Roman history in school. Which is all fine and good, but doesn’t necessarily give you the knowledge and chops to hold your own against the likes of Cameron and Beard. Let’s take the sack of Rome as our starting point. I’m wondering which sack of Rome Banks has in mind — or if perhaps he has in mind both the sack of 410 by Alaric and the Goths or 455 by Geiseric and the Vandals. This is a good starting point for addressing the idea that the (western) Roman Empire fell because of ‘immigration’, I think. 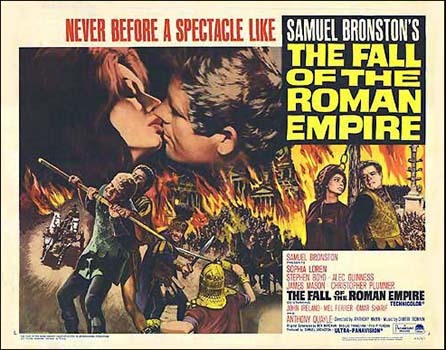 First: Does sacking Rome lead to the fall of the Empire? Medium answer: Still no. The western Roman Empire is still intact for decades after the first sack and well entrenched in her problems by the second. For people who argue that ‘immigration’ caused the Fall of the Roman Empire, what the sacks of Rome really are is emblematic — the psychological shock that struck hearts from Orosius in Spain to Augustine in Africa to Jerome in Palestine. And, of course, they were wrought by immigrant barbarians. Let us, for the moment, concede that the barbarian migrations are the cause of the Fall of the Western Roman Empire. Certainly, anyone must concede that the new kingdoms to arise in former western provinces under the rule of Vandals, Suevi, Visigoths, Franks, Anglo-Saxons, and Ostrogoths, are founded by persons of non-Roman culture and from non-Roman nations (usually Germanic and from across the Rhine-Danube frontier). And certainly these peoples in their Voelkerwanderung had something to do with the loss of imperium by the Roman West. But is an army under the command of a man who calls himself a king really a group of ‘immigrants’? Whether Late Antique ethnicity is almost purely performance, as argued by Guy Halsall in Barbarian Migrations and the Roman West, or whether there is something deeper to it, I agree with Halsall that these groups are primarily military, not national — even if Peter Heather is right in his counter-argument that Alaric’s Goths are direct, biological descendants of the Goths who killed the Emperor Valens at the Battle of Adrianople in 378. All of them come to Roman territory seeking fame and fortune — within the existing structures of the Roman polity. They do not actually turn up wanting to conquer Rome, dismember her empire, or seize all her land. These things ultimately happen because of the failure of the Roman government to negotiate with them successfully and give them their rights. The Roman Empire had met barbarians before. She had met barbarian warlords, kings, and warbands. And they had even settled on Roman land. 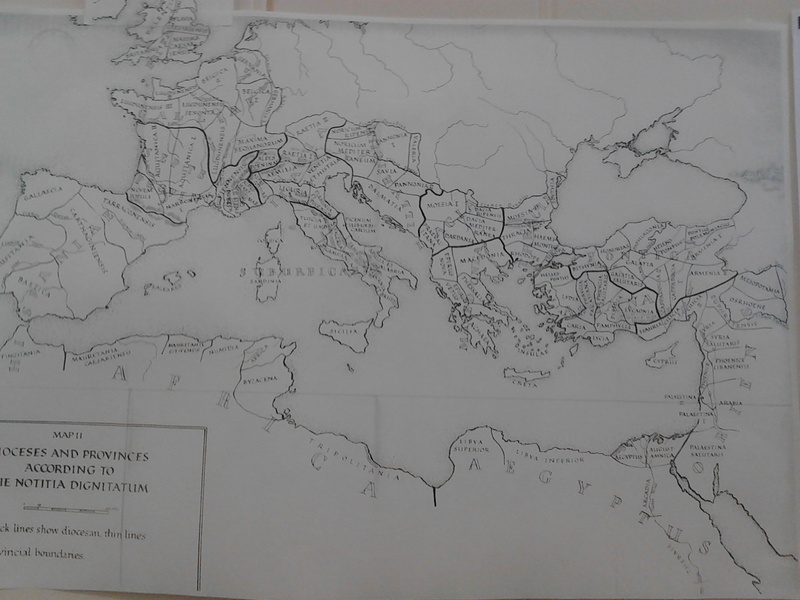 The Roman Empire could deal with immigration; it was an incredibly diverse place, and people from one end of the Empire could travel to the other and maintain their home traditions. Thus we see shrines to Jupiter Dolichenus on Hadrian’s Wall, for example, let alone the Anatolian worship of the Persian god Mithras everywhere from Musselburgh in Edinburgh to Dura Europos in Syria. 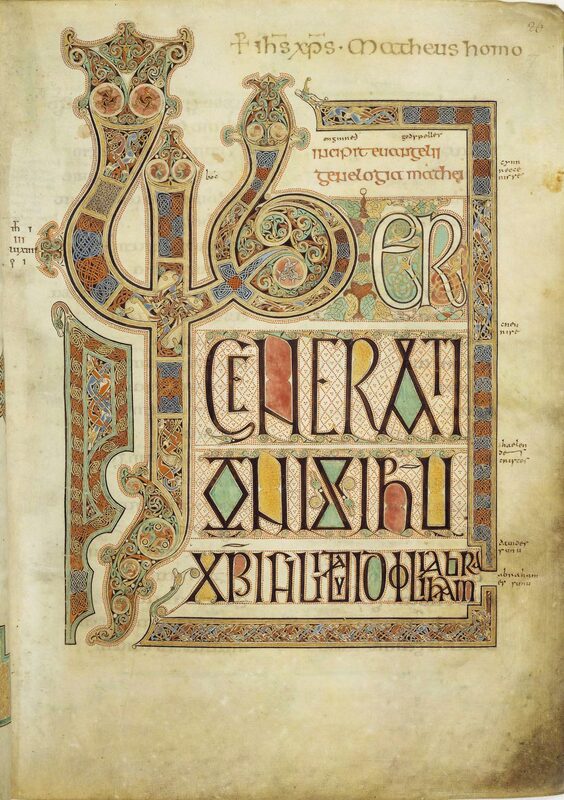 The Roman world in Late Antiquity included speakers of Latin, Greek, Syriac, Coptic (the latest form of the Egyptian language), Arabic, Armenian, Gaulish, and no doubt Gothic. It had a flexible system of culture and economy; this is one of the great hallmarks of the Romans, was it not? Roman culture is never ‘pure’ — it starts off a little bit Italic, a little bit Latin, a little bit Etruscan, a little bit Greek. It shifts and reshapes itself everywhere its legions, its proconsul, its Praetorian Prefects, go. There is no great cultural monolith of ‘the Romans’. And its borders are always porous. As David Breeze (who wrote the book on Hadrian’s Wall) argues, Hadrian’s Wall is not to keep the Caledonians out but simply to monitor traffic between Britannia and Caledonia. When the Picti do finally band together in 367, yes, it serves a purpose (but it also gets overrun). Similarly, people cross the Rhine and Danube. The Romans had bridges over them! 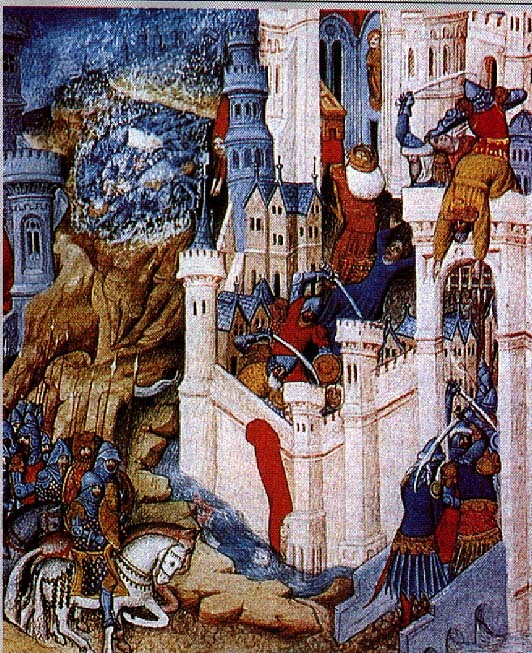 Sure, our main image of the Rhine frontier is the one in Ammianus, of Julian burning down the homes of the Alamanni. But that’s not ‘normal life’. The desert peoples of North Africa were also part of this Roman system — indeed, some of the Berbers in the post-Roman period saw themselves as the continuators of Roman culture. In the East, it was not the ‘immigrant’ groups like the ‘Saracens’ (as our sources call them) or Arabs who cause the real problems, but the acutal military endeavours of the Sassanian Persian Empire — another political force with a real army. If we concede that barbarians cause the Fall of the Roman Empire, it’s not because they are ‘immigrants’. It is because they are highly organised groups of soldiers whom the Roman officials are unable, and often unwilling, to appease or treat humanely. And sometimes, they are actually invaders who come to conquer Roman land and settle it for themselves. Armies and immigrants are not the same thing. And it is not immigration that led to Roman military failures against the barbarians, either. That was due to poor planning, bad weather, civil war, sheer exhaustion, and so forth. Not immigrants. Thus, ultimately, even if we want to put the weight for the Fall of Rome on the barbarians, to unproblematically call them ‘immigrants’ is to completely miss the mark in determining who they were and what they were doing when they entered Roman territory. This entry was posted in Ancient World, Classics, History, Indignation, Scotland and tagged averil cameron, barbarian migrations and the roman west, fall of the roman empire, guy halsall, immigration, mary beard, sack of rome on December 8, 2016 by MJH. In ch. 38: The barbarians who had entered Spain pillaged it with a vicious slaughter. Meanwhile, in the 420s, having been driven out of Spain by clever military action, the Vandals under King Gaiseric moved on to North Africa, which they took piece by piece, despite negotiating treaties with Roman generals along the way. By 439, they had taken Carthage, and all of North Africa was a Vandal kingdom to last until Justinian’s invasion 100 years later. They were in a strong enough position not only to engage in piratical activity in Spain, but also to take Sardinia, and, in 455, to follow the Gothic lead in sacking Rome, which they pillaged mercilessly and took off Valentinian III’s widow and daughter in the booty. Hence vandalism. Gaul, modern France, was also disappearing—southern Gaul was under effective control of the Visigoths, despite any formal arrangements as yet. Burgundians had been settled on the Rhine with Worms as their capital. Northern Gaul, such as Brittany, had basically risen up in insurrection against the faraway and powerless empire and was being ruled by its own aristocracy. Elsewhere in northern Gaul, the Franks had moved in—mind you, they claimed to be ruling with Roman titles, something most barbarians did. Roman power was failing all over the West, but everyone kept claiming to have power sent from on high. And the generals were too busy fighting each other to keep any invaders out with armies that were too small, despite their enormous paper strength. Up to 455, the General Aetius was the leading power behind the throne. A Roman, he had spent time as a hostage among both Vandals and Huns, and used his contacts amongst these groups to the Empire’s advantage by allying them to Rome. However, his actions were as short-sighted as everyone else’s; if Aetius wasn’t busy fighting off Huns, Goths, or Vandals, he was engaged in civil war against other generals. It is likely that Attila and his army needed to regroup and were weakened by sickness. Attila died shortly thereafter in 453, and the Huns were no longer a great power. However, in 455, Valentinian III became afraid that Aetius would make a bid for power, so assassinated him with his own hand. Soon, Aetius’ men assassinated Valentinian. The short-lived emperors come next. The next emperor was Petronius Maximus, from one of the leading aristocratic families of Rome. He lasted two and a half months before being killed in the Vandal sack. Then a Gallo-Roman aristocrat, Avitus, was emperor. His policies were a bit more wide-reaching, trying to reincorporate the Gallic aristocracy into the political life of Italy and making good terms with the Visigothic King Theoderic, but his actions only served to infuriate the short-sighted Italian aristocrats, so our next barbarian generalissimo, Ricimer, went to battle against him and deposed him. Ricimer set up Majorian in 457, a potentially helpful emperor who tried to dislodge the Vandals from Africa. Eventually, Majorian tired of Ricimer’s control. So, in 461, Ricimer raised Severus to the purple. Emperor Leo I in the East refused to recognise Severus. Severus died in 465, possibly poisoned by Ricimer. Ricimer ruled without an emperor for 18 months before Leo appointed Anthemius in 467. Anthemius may have stood a chance had he been emperor decades earlier. However, things had been spiralling downward for too long; although he headed a combined East-West force against the Vandals in Africa, when he made an ill-advised five-day truce with the Vandals, they built a fireship and subsequently destroyed the large East-West coalition fleet. Anthemius’ ultimate failure was secured. Three more nonentities followed Anthemius, the last Romulus Augustulus. The final generalissimo was Odoacer who decided that he had no need of a puppet emperor and deposed Romulus, who went to live in a monastery. The insignia were sent East, and Odoacer was formally ruling Italy under the Eastern Roman Emperor’s authority. Now, there was still, however, a western emperor kicking around in Dalmatia, one Julius Nepos, still officially recognised by his Eastern colleague. In 480, he was murdered, possibly due to Odoacer’s connivance. 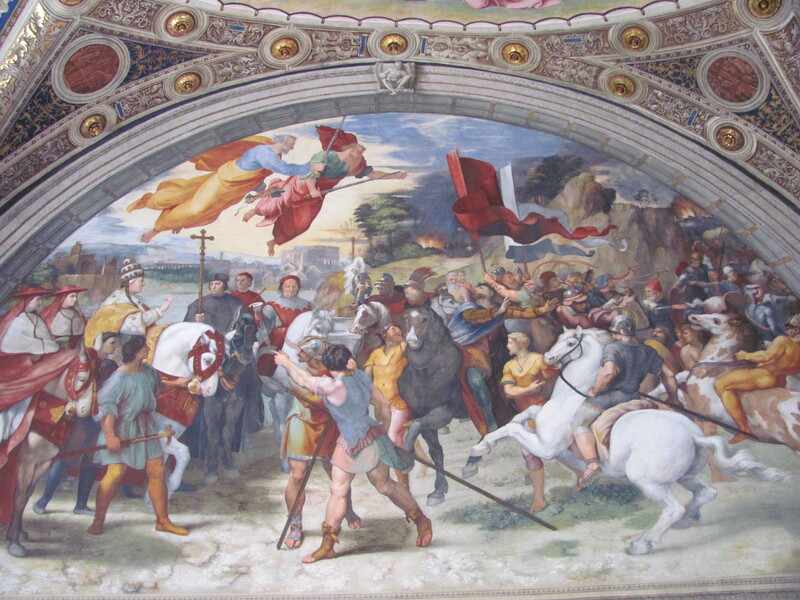 Eight years later, in 488, Theoderic ‘the Great’ was commissioned by the Eastern Emperor Zeno to do battle with Odoacer and take Odoacer’s place as patrician and ruler of Italy. Theoderic had been making a small amount of trouble in the East until then, but also making himself useful. Zeno thus made him useful and got him out of his direct territory. Theoderic defeated Odoacer after a three-year struggle. He was master of Italy. 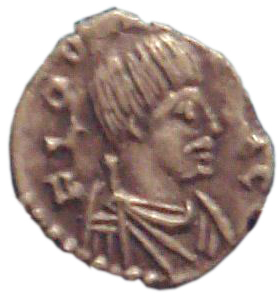 It has recently been argued that at this period and up to the accession of Justin I in 519, Theoderic viewed himself as a new Western Roman Emperor. He certainly acted like it, visible in the Anonymus Valesianus. But most of his story in Italy belongs to the sixth century, not the fifth. In southern Gaul and Spain, the Visigoths were busy forging a kingdom in these decades. In northern Gaul, the Franks were consolidating their power. They would eventually rule all of Gaul in the 500s; as a kingdom, the Franks are first united under Clovis in 511. Various things are shadowily transpiring in Britain — we get nary a glimpse, but amidst the swirl of later legends and teleological readings of archaeology, we can see that Germanic persons are slowly gaining a foothold in the 400s, and that perhaps this century, perhaps the next, battles between them and the Romano-British leaders would lead to Arthurian tales. Breathlessly, then, the West reaches 500. Much in these two posts comes from Guy Halsall, Barbarian Migrations and the Roman West: 376-568. See also his Worlds of Arthur (my review here). The rest comes from my mind or notes from a lecture I delivered, and I cannot at present recall all of my sources! This entry was posted in Ancient World, Classics, Discover Late Antiquity and tagged anonymus valesianus, attila, barbarian migrations and the roman west, fall of the roman empire, guy halsall, hydatius, leo and attila, leo the great, theoderic the great, valentinian iii, worlds of arthur on March 30, 2016 by MJH. Victor of Tonnena … what fall of Rome? I still believe that 476 was a Significant Year in history, and many people who lived through it thought so, as well. But some time after 568, and probably before 575, Victor, Bishop of Tonnena in North Africa, put together a Chronicon running from AD 444 to 566. I read this document this morning, and I found a very interesting omission in Victor’s Chronicon. The history of Rome and Italy is largely ignored, including the deposition of the Little Augustus, Romulus, by Odoacer in 476, the moment that for many of us signals the end of Western Imperial rule. In fact, Libius Severus (r. 461-465) is the last western Emperor Victor mentions. The only place in the West he gives much attention to his native Africa; indeed, Pope Leo the Great largely only figures in this Chronicon because of his role in calling the Council of Chalcedon. 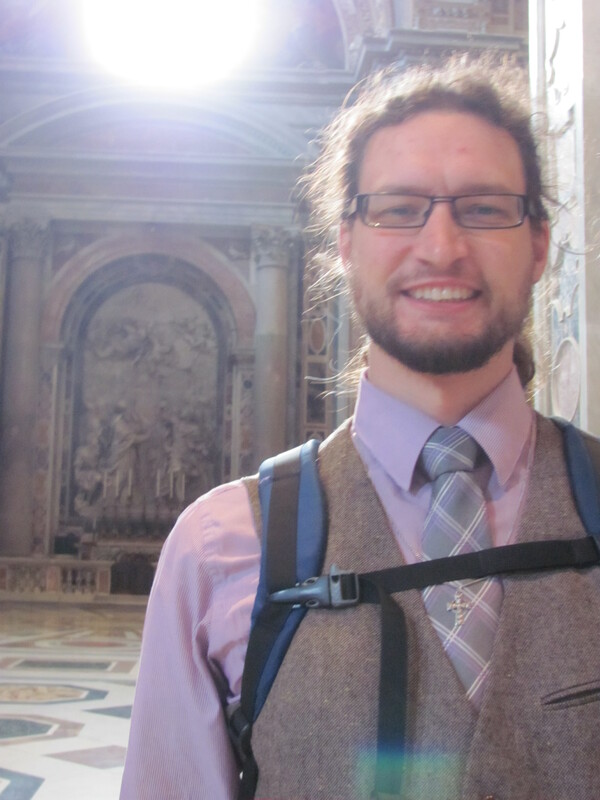 Victor is more concerned with eastern secular and ecclesiastical politics, although I would have thought this interest would have drawn comment upon the western Emperor Anthemius who came from Emperor Leo I in the East; but, no. Not even the fact that, were it not for a five-day truce with the Vandals, Anthemius might have reconquered Africa. Julius Nepos isn’t mentioned, either, although Odoacer gets a mention, mostly for his death at the hands of ‘Theodore’ in 491 (should be Theoderic in 493). Victor’s lack of care for the goings-on in Italy, Gaul, and Spain makes for some confusion. He never specifies which Goths were doing what, a fact that would leave the non-specialist in a bit of a fix on several occasions. Why? Victor writes in Latin, after all. Italy’s not that far away. Neither, for that matter, is Spain. Why does he neglect the rest of the West and focus so much on the East? The first of these means that not only was Italy part of Justinian’s ‘restored’ Roman Empire at the time of Victor’s writing, but reminds us that North Africa already was before 535. Thus, Victor is a Roman citizen writing about Roman affairs during that brief moment when Italy, North Africa, and a bit of Spain were reunited with the Eastern Mediterranean in Empire. The second is more important. The West was Chalcedonian from the beginning. Furthermore, the disintegration of Roman power during the middle decades of the fifth century meant that the activities of western rulers impacted ecclesiastical politics less there than in the East. Thus, Victor is really only interested in Popes like Leo, organiser of Chalcedon, and Vigilius, supporter of the Three Chapters and, in Victor’s view, opponent of Chalcedon. The rest of the debate and schisms and what-have-you from 451-568 happened in the Eastern Empire. As an opponent of the Three Chapters (who was beaten, exiled, and imprisoned for that opposition), that was what really interested Victor, not the ins and outs of Goths and Franks in Italy, Gaul, and Spain. I feel the need to repeat myself: The whimpering or non-existent echo of 476 in the sixth century does not mean it was unimportant. It means we need to examine all of our sources with the utmost care. 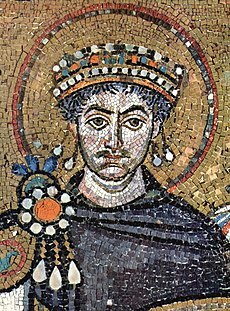 It does, however, remind us that, despite the political and economic discontinuities between the two periods, there was still a sense, especially after Justinian’s ‘restoration’, that the Roman Empire endured — albeit ruled from Constantinople. This entry was posted in Ancient World, Christianity, Classics, Discover Late Antiquity, History, Patristics and tagged anthemius, council of chalcedon, fall of the roman empire, justinian, odoacer, pope leo the great, romulus augustulus, three chapters controversy, victor of tonnena on November 28, 2013 by MJH.